UPDATE: On January 18, the American Meteor Society reported two meteorites from the January 16 were found in Michigan. Congratulations to Robert Ward and Larry Atkins on the first two reported finds. The two pieces were black, about the size of driveway gravel stones. A brilliant meteor flashed across the skies of the Great Lakes Region of the U.S. Tuesday night ending with two brilliant flashes and loud booms. People reacted with delight and alarm, some calling emergency services after witnessing the event. Officials quickly identified the source as a good-sized meteor entering Earth’s atmosphere, flaring and exploding as a fireball-bolide (brilliant, exploding meteor). Here’s what we know, courtesy of William Cooke, Ph.D., NASA Meteoroid Environment Office. This statement has been edited and updated from social media posts made by Dr. Cooke. — ed. A very bright fireball (possible superbolide, which has a brightness between that of the Full Moon and the Sun) was seen in the Michigan, Ohio, Illinois region Tuesday night, January 16, at 8:08:30 PM EST. Preliminary information indicates that this meteoroid/small asteroid entered the atmosphere above the southeastern part of Michigan, just to the northwest of Detroit. 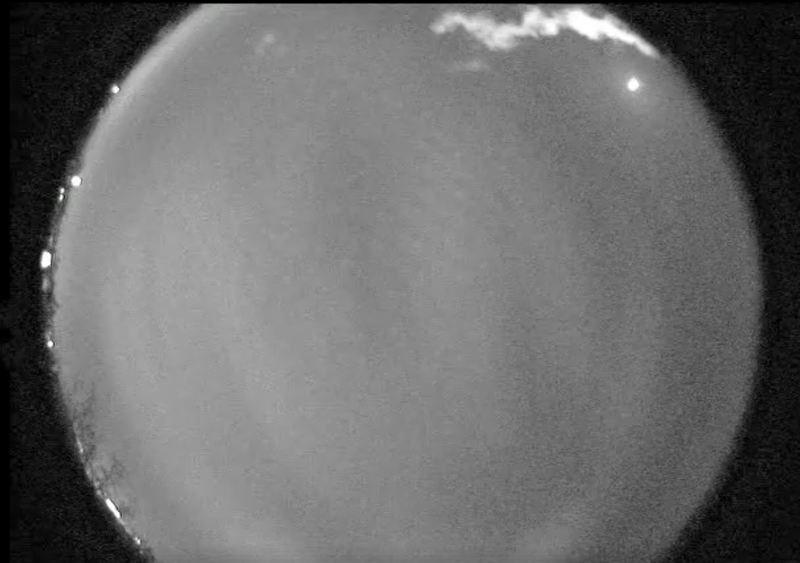 The fireball was so bright that it was seen through clouds by our meteor camera located at Oberlin College, about 120 miles away. We have calculated that this was a very slow moving meteor – speed of about 28,000 miles per hour. This fact, combined with the brightness of the meteor (which suggests a fairly big space rock at least a yard across), shows that the object penetrated deep into the atmosphere before it broke apart (which produced the sounds heard by many observers). It is likely that there are meteorites on the ground near this region – one of our colleagues at Johnson Space Center has found a Doppler weather radar signature characteristic of meteoritic material falling to earth. Pieces of an asteroid lying near Detroit? Let’s see what the meteorite hunters find.